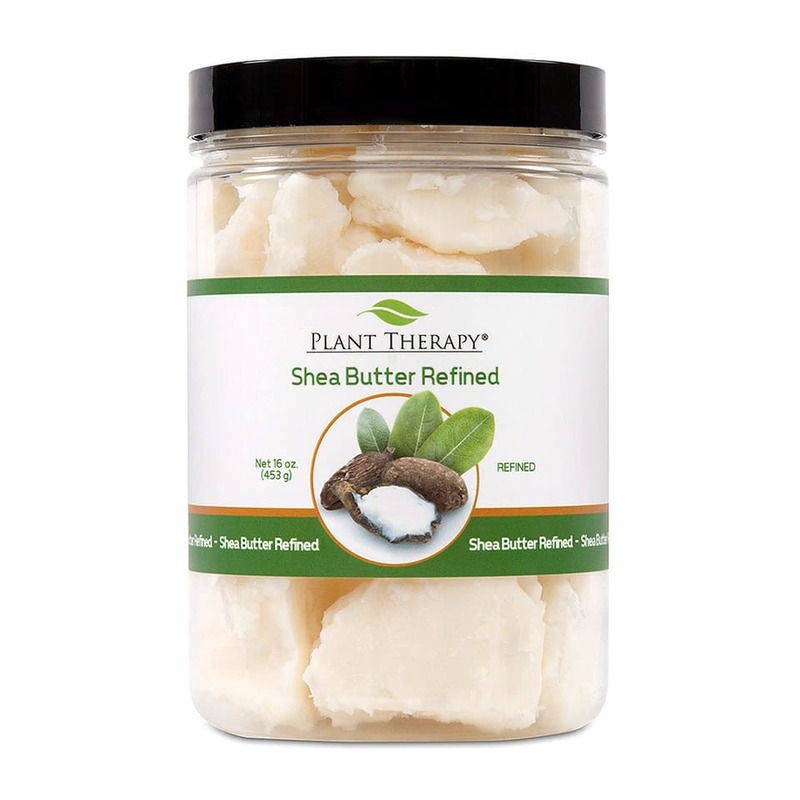 Recently, raw shea butter has gained huge popularity all over the world because of its amazing benefits and its widespread use in numerous cosmetic products like shampoos, lotions, and conditioners. It is extracted from the nuts of the shea tree or Vitellaria paradoxa, which grows in Africa. Actually, shea butter is an oil that is very rich in fats, but which transforms into this solid substance when kept at room temperature. The Karite tree makes fruits and those fruits bear the valuable nuts from which the butter is extracted. After crushing and then boiled, the nuts are manipulated, and this light-colored fat comes from them, most commonly known as raw shea butter. Shea butter has some very important ingredients that offer it these incredible cosmetic benefits. Among those are stearic acid, oleic acid, and linoleic acid. The skin absorbs it very quickly because it melts at body temperature. It has healing and moisturizing properties which have been considered treatments for many skin issues over the years. Apart from this, it also has anti-inflammatory and antibacterial properties. Because it’s so similar to other vegetable oils, it can also be ingested without issue. In the chart below, you will find my top 10 rated raw shea butter options. For a more in-depth review of each type, please click on the Read Review link. 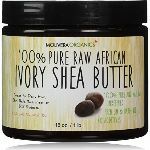 Why Is Raw Shea Butter Awesome/Valuable? The shea butter is a very versatile product. People use it both for cooking and for its cosmetic benefits. 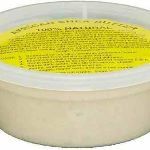 However, as with any other similar product, there are a lot of types of shea butter out there that you should know about. Its production method and use determine those different types. After being roasted and boiled, the shea tree nuts create this oil which is scooped off the top of the water in which it has boiled. At that point, it’s ready to use. However, this is where all the difference is made. Some shea butter makers process it even further, some filtering it and others treating it to remove its smell, change its color or its composition. Here are the most important types of shea butter that you should know about. 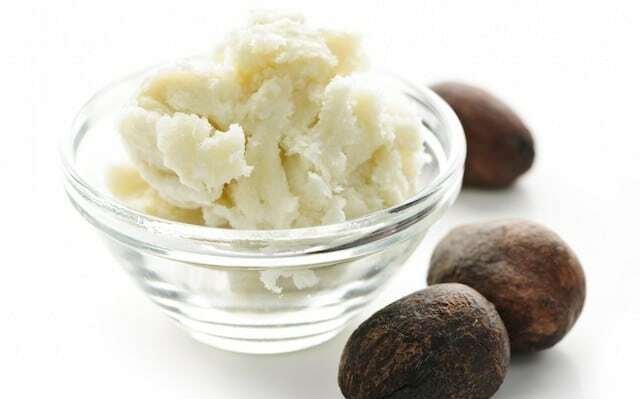 As its name suggests, this type of shea butter has not been altered beyond its most natural state. It usually looks like a paste often sold in jars or tubs. Because it has not been filtered at all, it not unusual to find impurities or other things in it. In its natural state it’s very solid and doesn’t melt easily, even at room temperature. It has a dark yellow color, which is its most raw color. 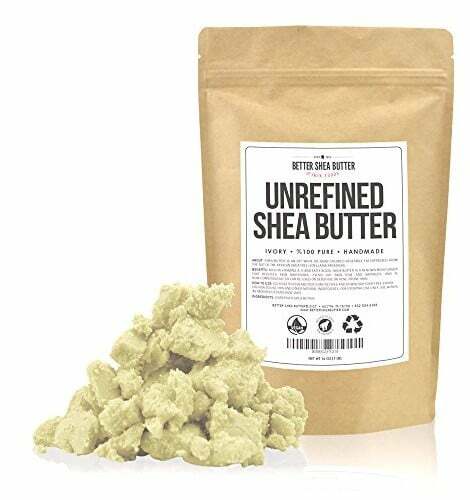 Unrefined shea butter should never be confused with raw shea butter. There is a slight difference between the two. 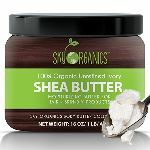 When it comes to unrefined shea butter, filtering it is allowed as long as it doesn’t affect its beneficial properties. Usually, people filter unrefined shea butter using a cheesecloth. It’s not that solid so it can be put into molds. This is why usually, you can find it in stores as bars or sticks. 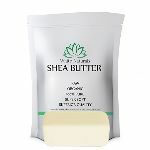 In order to become refined shea butter, the raw butter has undergone some processing to have its smell and properties altered. Usually, refined shea butter has a lot of additives, like preservatives and perfumes. Its color is pleasant and white, and its texture is very smooth. Unfortunately, it doesn’t have the same benefits as raw or unrefined shea butter because of its increased degree of processing. 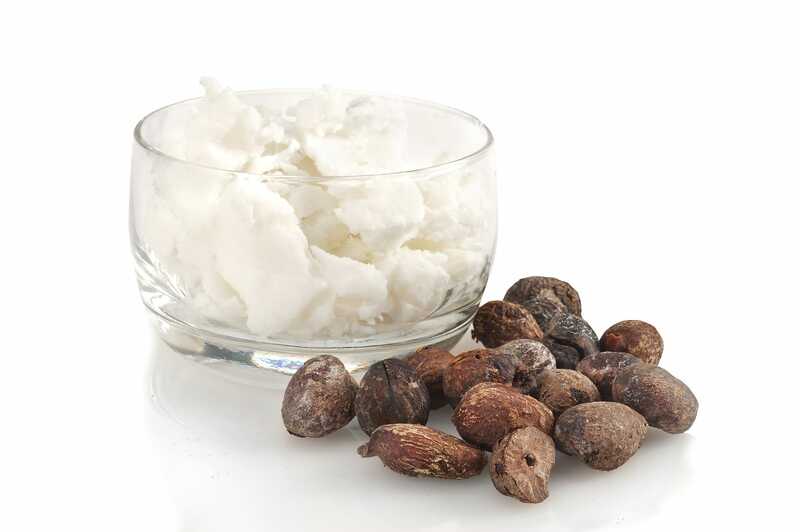 This last type of shea butter has undergone at least two filtering processes which have changed its composition. Usually, it can be found in mass-produced cosmetic products. It normally has a pearly-white color, and its consistency varies. It can either be very solid, found in lip balms, or more liquid, usually found in hair conditioners. It has chemicals in it, used in the refinement process and some of those can be unhealthy. Shea butter has been mentioned in African history document many times. During Queen Cleopatra’s reign, large numbers of jars full of it were being transported to Egypt. Legends are saying that even the Queen of Sheba was using it as skin and hair treatment. During old times, people used the shea tree wood to make coffins for the early kings of Africa. Then, they used the butter extracted from its nuts to create treatments. Even nowadays, people in Africa use it to protect their skin and hair from the powerful sun rays. A good moisturizer- The fatty acids and the natural vitamins in it make it an excellent natural moisturizer. Because it is extremely nourishing, people often use it to ameliorate dry skin and to help protect the natural oils of it. Great for skin smoothing- Because it also contains oleic, palmitic, stearic and linoleic acids, shea butter, especially the raw type, helps prevent skin drying and aids its natural collagen production. When used for a longer period of time, people start noticing that their skin becomes a lot smoother and softer and that their wrinkles began to slowly disappear. It has anti-inflammatory qualities- Thanks to a 2010 study on shea butter, we now know all about its anti-inflammatory properties. It is reportedly all due to the cinnamic acid in it. Actually, there is one compound in there, the lupeol cinnamate, which reduces skin inflammation and it has the potential to even help avoid certain skin mutations. People suffering from severe types of acne can benefit greatly from it. 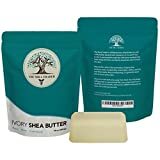 As with any other product, there are some important things that you should consider before deciding to buy shea butter and use it for your problems. Surely, it has enormous benefits for both hair and skin, but this doesn’t mean that it is suited for everyone. Some alternatives might be cheaper while others might be very expensive. 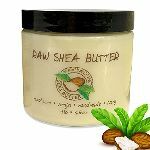 At the same time, you might not like the composition and smell of raw shea butter, even if it has the most benefits. 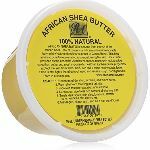 It is all up to you, but here are some things that you should consider before buying raw shea butter. 1. How Much Do You Want To Spend On The Shea Butter? As we’ve previously discussed, there are a lot of types of shea butter, some more expensive than others. At the same time, some are more beneficial than others because they have not been processed too much. So, you should think about the money you are willing to spend on a good shea butter before deciding to buy one. Both raw and unrefined shea butter are the most expensive alternatives, but also offer the most benefits for health, skin and hair. Meanwhile, refined and ultra-refined shea butter might be more accessible but do not offer the same amount of properties. Also, you might find that they do not have any effect on you. 2. How Do You Want To Use It? As one of the most versatile cosmetic products out there, shea butter can be used in a lot of ways. For example, you can use it by itself as a moisturizer, as a lotion, as cream, as a salve, in homemade products, as a liquid or as an oil. It’s all up to you and the problems that you want it to fix. From preventing pregnancy stretch marks to moisturizing your lips and skin, from helping with a sore nose to providing the best ingredient for a massage. It doesn’t even matter as long as your choice helped solve your specific problem. We have already touched upon some of the most important benefits of shea butter. However, it would be no surprise if some of you still had unanswered questions regarding this amazing product that has so many benefits. Also, if you think that you are the only one left with so many questions, think again! Even if shea butter can be found in a lot of cosmetic products nowadays, not many people know about its natural properties. This is why it’s very important to know all the details before starting to use it for whatever reason you find necessary. Here is a list of some of the most important questions to ask yourself before buying raw almond butter. Q: Why should I incorporate raw shea butter into my daily routine? A: This is one of the most frequent questions people ask when informed about a new product. There are a million reasons why you should incorporate raw shea butter into your daily skin care and hair care routines. Apart from being an amazing natural moisturizer, it is also good for repairing sun damaged skin, for reversing old age signs such as wrinkles and for reducing the bags from under your eyes. It’s also good for massages and a very solid and useful cuticle cream. If you have a cold it can help with your sore nose and apart from this, it can act as a base for homemade deodorant, such a lime. You can also apply it on your scalp and on your lips to prevent them from drying. Moreover, you can mix it with makeup or apply it on your eyelids to force your makeup to last longer than usual. So, these are just a few of the enormous benefits of raw shea butter and why you should definitely include it in your routines from now on. Q: Can I use it for cooking? A: Yes, raw shea butter can be used for cooking without worries, as a replacement for other vegetable oils. It is a vegan-friendly butter which can be used as oil or simply spread on toast. You can use it in cookie and cake recipes as a healthier alternative too. You can fry either sweet or savory foods in it using a pan. Moreover, it can be used over pasta, vegetables or rice instead of olive oil. Make a dressing out of shea butter, garlic and green onions and all of your friends will be impressed. Q: Can I use it on my baby? A: Yes, you can use shea butter on your baby because it’s an excellent treatment for rashes caused by diapers, for example. It will make their skin smooth and repair any damages that might exist. The common myth according to which shea butter makes the skin darker is NOT TRUE! It doesn’t have any such effect whatsoever. Some people might not like the smell. In this case, you can mix it with some essential oils to make it more pleasant and apply it on your baby’s fragile and sensitive skin. There are a lot of reasons why raw shea butter is awesome and so valuable. Still, most of these reasons are in connection with its amazing benefits that we have previously touched on. The main idea is that you should stop thinking and introduce this butter into your pampering routine as the holy grail of skin and hair care. However, we will be listing some more reasons why raw shea butter is amazing and valuable, in case you are not yet convinced. 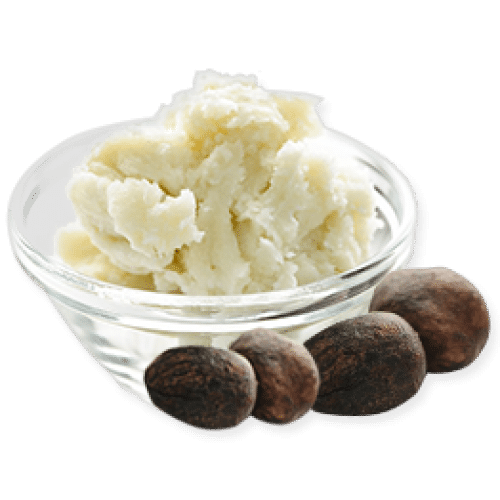 We have already talked about raw shea butter’s amazing moisturizing properties, but we will focus on them once again because they’re incredibly important. Apart from soothing and hydrating your skin, shea butter also prevents wrinkles from appearing and balances your skin. You can use it as a dry scalp treatment, an eczema treatment, one for chapped lips, or to help with cracked heels, knees and elbows. However, experts are suggesting the use of raw or unrefined shea butter as a treatment for these issues. It’s the healthiest and most beneficial one because it hasn’t been altered at all. Ok, shea butter might not actually turn back time, but it helps prevent wrinkles or makes them less visible. For centuries, people have used it to reverse the effects of the passage of time. The fatty acids in it along with Vitamins A and E maintain your skin’s elasticity and suppleness. Moreover, studies have shown that it helps rebuild and rejuvenate the natural production of collagen in the skin. When it comes to more serious issues, shea butter is known to heal scars, burns, and cuts. It also relieves rashes and sunburns. Apart from this, it can take the sting out of insect bites and relieve arthritis and muscle pain. Some studies have reached the conclusion that shea butter is also an excellent natural nasal decongestant. It only takes about12 to 24 hours for your nose to become completely empty, in case you were suffering from the flu or a cold. 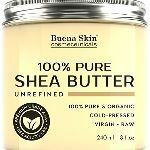 Before we reach the end of our article on raw shea butter and its amazing benefits, we need to provide answers to some of the most frequent questions people have. People usually have common curiosities and we are here to reveal the truth behind. This is a short list of the most common questions that people have regarding raw shea butter. Q: If I have a nut allergy can I still use it? A: Yes, you can still use it even if you are allergic to nuts. No such allergies have been reported so far, even if shea butter comes from the nuts of the shea tree. Still, if you want to make sure, you should first talk with your doctor about any eventual issues that you might have with this butter. Q: Where does the name “women’s gold” come from? A: This name has a long history. A while ago, women in Africa earned their livelihood by working in the shea butter industry for their entire lives. This actually still happens today, hence the name of “women’s gold.” It could also mean that women are the ones mostly using it for its cosmetic qualities. Q: Can I eat shea butter? A: Yes, of course you can eat shea butter. Actually, you can use it as a substitute for a lot of other butters and vegetable oils. You can spread it on toast or pancakes; you can use it in cookies or cake recipes or fry in it. As an oil, you can mix it with other ingredients and pour it on pasta, rice or vegetables. Q: For how long can I keep a jar of shea butter? 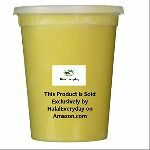 A: Normally, raw and unrefined shea butter should not last that long. But if you have a jar of refined shea butter for everyday use, its average life is of about two years starting after you’ve opened it. Also, this period can fluctuate depending on the brand of butter you’ve bought, so it would be better to check the label to make sure. Once it reaches the expiration date, throw it away and buy another. Don’t use it for anything else! In conclusion, this was our article on the best raw shea butter options for 2018. We hope you found it useful, in the same way that shea butter is useful for a lot of issues. From cosmetic to health benefits, it can help you with a lot of your problems. It is a completely vegan-friendly product, coming strictly from a shea tree. The best types of shea butter are the raw and unrefined ones as they have not been altered too much and still keep their properties intact. Shea butter is present in a large number of cosmetic products, from skin care ones to hair care ones. It’s good for dry and damaged skin as well as for hair problems. Apart from this, you can also cook with it without worries and make it your healthy replacement for other vegetable oils and other types of butter. Of course, like any other product, there are certain drawbacks if you choose a cheaper alternative. 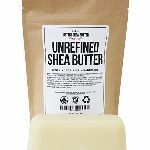 Refined and ultra-refined shea butter might not be the best choices when it comes to their natural benefits because not many of them still remain. Also, some can contain additives and perfumes that ruin the entire essence of what shea butter should be. It’s also important to know that certain people might experience some side-effects when consuming or applying shea butter. So, if you experience nausea, dizziness, weakness, abdominal pain or headaches, you should immediately visit your doctor. Such side effects are very rare, but as long as they have been reported, you should be aware of them. People are usually not allergic to shea butter, but you never know what can happen and it’s better to be safe than sorry. So, do you have any other questions that we failed to answer in our article? 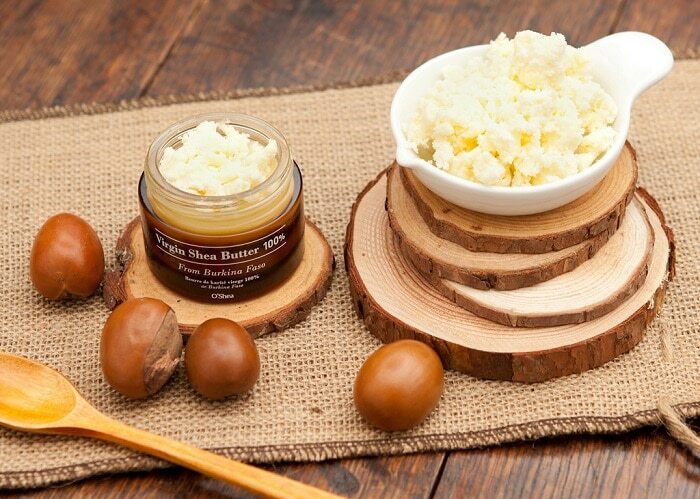 Have you tried raw shea butter before? If yes, what did you think? If no, will you try it? Do you wish to ask us something? Write your opinions and questions down below and we will answer them right away!